Hello and Welcome to our preview for Otago Volts vs Auckland Aces match. 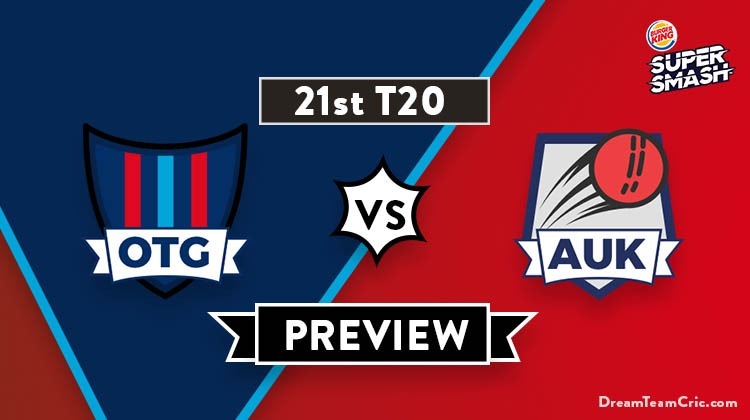 We are covering OTG vs AUK Dream 11 Team Prediction, Preview and Probable Playing XI for the Super Smash 2018-19 match. The match is to be played at the Eden Park Outer Oval, Auckland. Despite having a star-studded squad for most of the occasions, Auckland has struggled to win the games consistently. 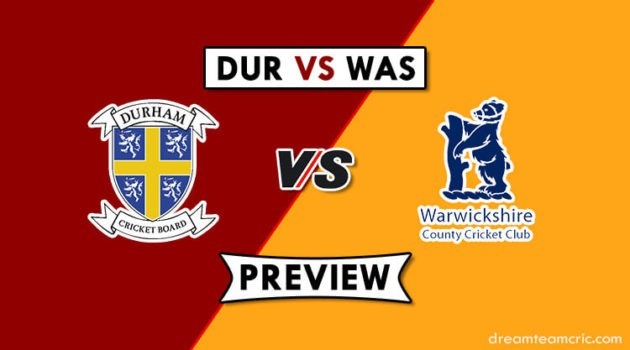 They have only two wins from their six matches while two matches were washed out. Otago has a similar record, their two matches were washed out as well. Otago’s last match was played against Auckland at Dunedin but the rain halted proceedings when Auckland had scored 117/1 in 11 overs. Otago’s batting lineup is yet to fire, only Anaru Kitchen has been a consistent scorer for them. The bowling is held together by Jacob Duffy. Auckland Aces are fresh from a victory over the Wellington Firebirds. Munro’s part-time bowling earned him four wickets. Ronnie Hira and McClenaghan snared 2 and 3 respectively. They then chased 122 runs comfortably with Munro’s 41 and Chapman’s 47 not out. The match will be played at the home ground of Auckland. This is not the international Eden Park ground, it is the outer oval. They are slated to play five matches here. First match was washed out by rain, Auckland lost the second as they were all out for 110. They have declared their 12-man squad. Matthew Bacon and Michael Rippon go out, Christi Viljoen and Josh Tasman-Jones have been added. Hamish Rutherford and Shawn Hicks should open the batting. Both have not been in best of the form. They will be followed by Kitchen at number three. Nathan Smith was used at number four in the last match. Josh Finnie is likely to lose his spot to the returning Viljoen. Ben Raine, the overseas pro, should probably get another game. Josh Tasman-Jones is in line to make his T20 debut. He is a middle-order batsman who can bowl a bit. Ben Cox will be the keeper. Brad Wilson, Jack Hunter, Jacob Duffy complete the playing XI. They have announced the 13-man squad for the match. Martin Guptill and Colin Munro will not feature. English opener Daniel Bell-Drummond will take Guptill’s place in the side. Glenn Phillips should be his opening partner. Mark Chapman, Cachopa and Robert O’Donnell complete the middle order. Wicketkeeper Ben Horne will also find himself in the middle order. Grobbelaar bats at number seven. Ronnie Hira and Will Somerville will be the two spinners while McClenaghan and Quinn shall share the new ball. Quinn had bowled only two overs in the last match, he could be replaced by Ben Lister. C Cachopa can be good option in place of S Hicks. Captain and Vc choices: G Phillips, H Rutherford, Daniel Bell-Drummond, A Kitchen, M McClenaghan C Viljoen, C Cachopa. 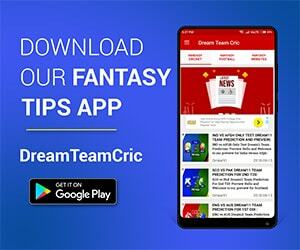 If you liked OTG vs AUK Dream 11 team prediction, then follow us on Twitter for Latest Cricket News and Grand League Teams.